Design, Planning and Building Regulation Approval. Throughout the early developments of your new project we plan and design all of the necessary proposals needed to get your project off to the best possible start. All of our clients are invited into our offices for a full 3D visual session to make any last-minute alterations. So, they know the design they walk away with, is the design the really want. Produce 2D plans and drawings to enable us to submit and obtain planning and building regulation approval for your project. Upon receipt of your initial enquiry, we will be happy to arrange for one of our professional advisers to call to arrange a home visit. Here we will gain a better understanding of what you need the additional space for and discuss the options available for you. Upon receipt of your initial enquiry, we will be happy to arrange for one of our professional advisers to call to see you at your property at a time to suit. We will gain a better understanding of what you need the additional space for and discuss the options available for you. We will prepare a feasibility report for your project, detailing your timelines, budget and initial ideas and discuss the services we offer to build a bespoke quotation, specific to your own requirements. This will be emailed to you, for your convenience. As soon as you are happy to proceed, our surveyor will contact you to make an appointment to call to survey and measure your property. The report is sent to our design team, in preparation of the design process. The design team will convert the survey report detail into a 3D BIM (Building Information Model) of your existing property. We combine this information with feasibility report and brief to create design options for you to consider. The design team will convert the survey report detail into a 3D BIM (Building Information Model) of your existing property. We combine this information with your feasibility report and brief to create several design options for you to consider. 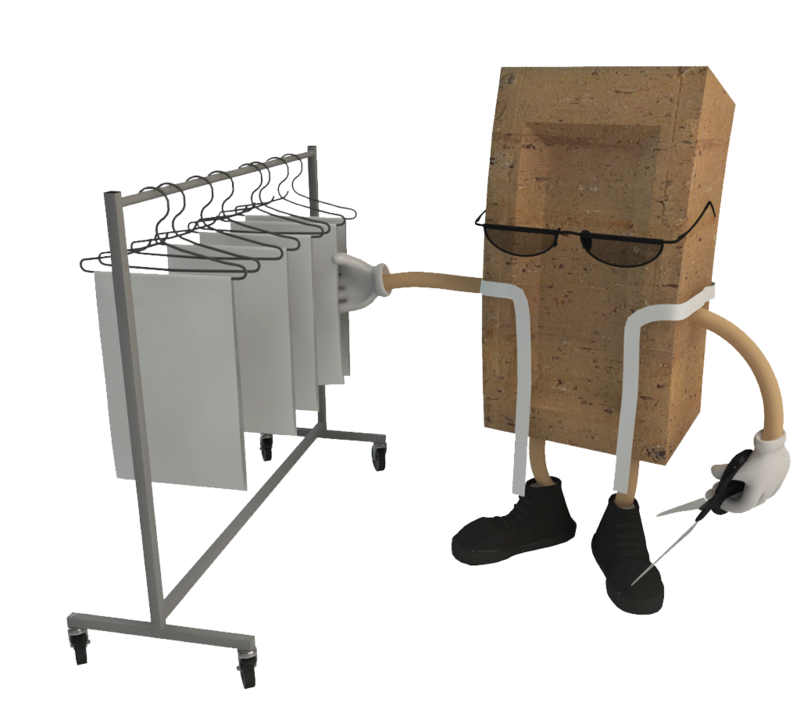 The initial design options are sent to you in a 3D format. 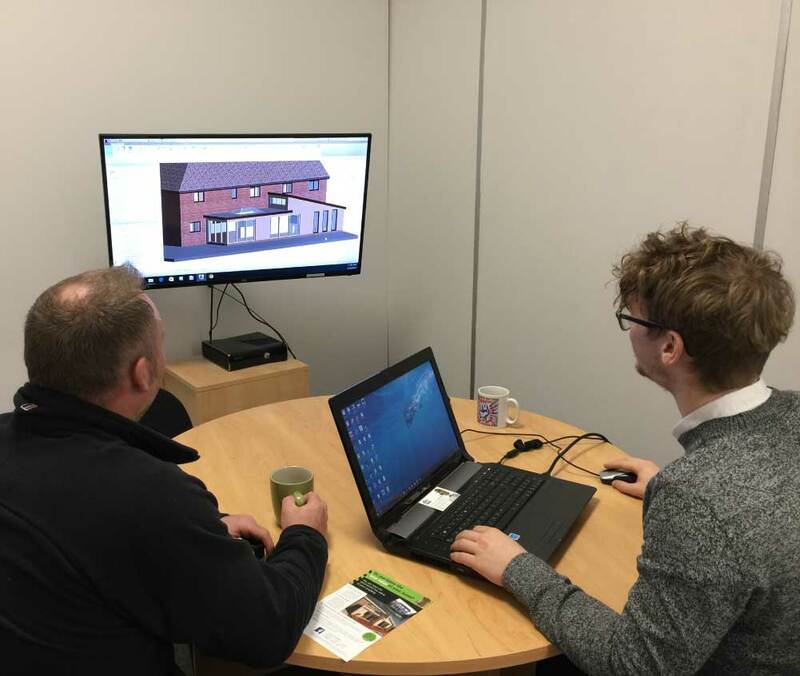 Viewing your design options in 3D rather than difficult to understand 2D plan drawings, allows you and your family to see the finished build options, allowing for a more informed decision process. To keep your project organised and feasible, we will calculate the indicative cost of your whole project to ensure it stays on budget. We will explore all of the available options so you can chose the outline design that best meets your needs and expectations whilst within your budget. We calculate the “Indicative” cost of the whole project to ensure your project will remain within your budget. It is important to remember, we can make multiple changes to your design as required. The goal is for you to see all of the options available so you can chose the outline design that best meets your needs and expectations and compliments your budget. Before you sign off your design, we will invite you into our offices in Stockport for a consultation with a member of one of our expert designers. We will sit with you to produce designs of your room(s) to ensure the design is just right. Simply because over the years our clients have asked us for this additional assistance as they felt unsure what to do next once they were in receipt of their designs and drawings. Before you sign off your design, we will invite you into our offices in Stockport for a consultation with one of our designers to fine tune your proposed design. Together, we will add furniture and décor and look at the finer details; perhaps moving a door, window or staircase. Most of our clients tell us that they did not know what to expect from this session but comment afterwards that this was the best and most rewarding hour they have spent, often making changes they would never have even considered, until the build was underway. Traditionally, these changes were time consuming, as plans needed to be reconsidered and amended, sometimes causing friction with the builder and often becoming very expensive, as they are completed after the tender process (see stage two). Making changes to your design at the design stage costs nothing more than your time. You will leave our office with the design that you are really happy to sign off and approve. If you are unable to call into our offices to make these detail changes we will be happy to arrange an On-Line session, at a time to suit. Our team of expert designers will sit with you to produce as many designs of your room(s) as you need to ensure the design is just right. When we design your extension, we will look at each individual room and show you in fine detailed 3D images exactly how each room could look. Our software is updated weekly to add the latest ranges of kitchens, bathrooms, bedrooms. There are thousands to choose from. 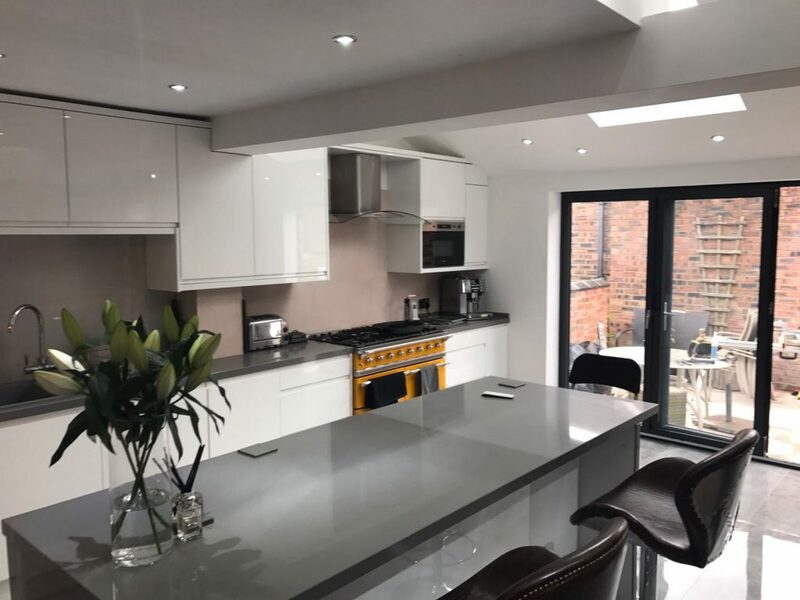 We also check whether we can create the extra space you require without the need for an expensive extension, by internally re-designing your home. By moving or removing walls and repositioning kitchens etc we can often create the additional space you’re looking for. 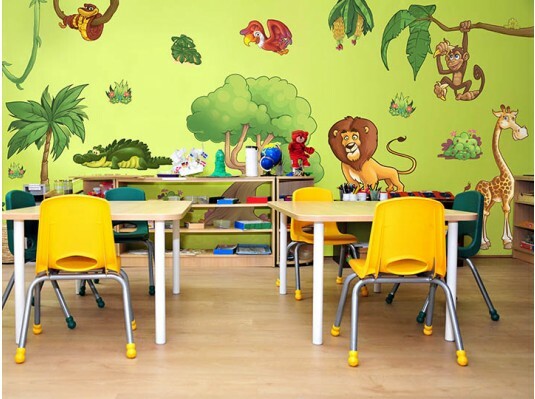 We can even save you money in personalising your children’s bedrooms and nurseries..
We do not believe in just handing over a room with four blank walls and a painted door. Just as we cater for the needs of Mummy and Daddy we can do the same for children. Our designers will work with your children under your guidance so they have a say what their bedrooms or playrooms should look like. We have been designing and then furnishing childrens play and bedrooms for many years. We can personalise them with built in wardrobes, huge choice of furniture and any theme they want; Sport, ballerinas, teddy bears the list is endless. You may wish to add favourite photographs or images that we can turn into personalised wallpaper or wall stickers. No matter what you want to personalise headboards, beds with storage space we can design it and make it look just how you would like it to be. Designing and landscaping your garden. Very few projects are complete without that dream garden. Our In-house team will produce an array of options for you, to see how your garden can look, in detailed 3D imagery to you can be sure of your perfect design. Water features, retaining walls can all play their part in the design process. Including the garden design from the outset will ensure the garden is not overlooked or forgotten and remains within your budget. 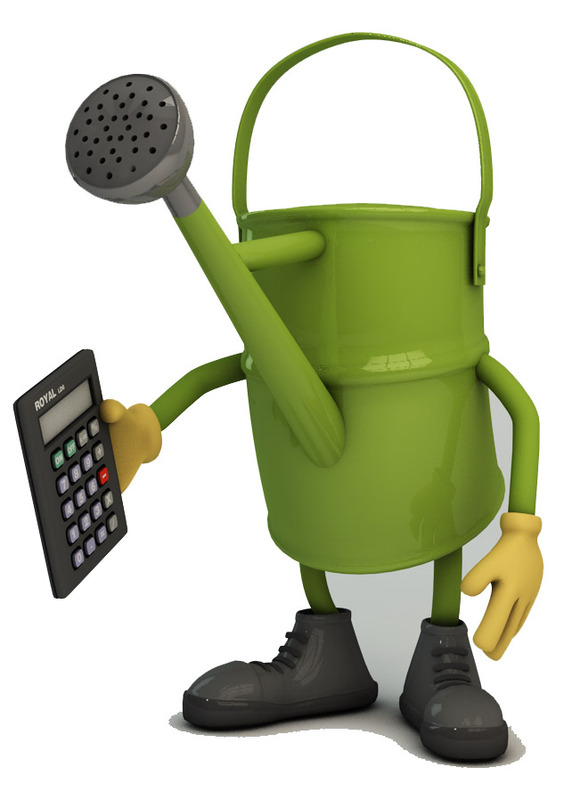 We put you in contact with landscapers, gardeners and carefully selected tradesmen and contractors. Our goal is for you to be able to look out from within your “new” home, at your perfect garden or better still, sit on a warm summer evening in your garden with a well deserved drink, admiring your completed home improvement project. You will even be able to see that new fitted kitchen design before you commission a builder. Take a virtual tour of your property and walk around it before its even built? Many of our clients ask us to produce a virtual tour of how their property will look after the home improvement is complete. It’s inspiring to be able to go home and stand in a room where our designs your indicated the removal of existing walls and to just click the button on any of your hand-held devices and see exactly how that room will look when the walls have been taken down and removed in line with your approved design. 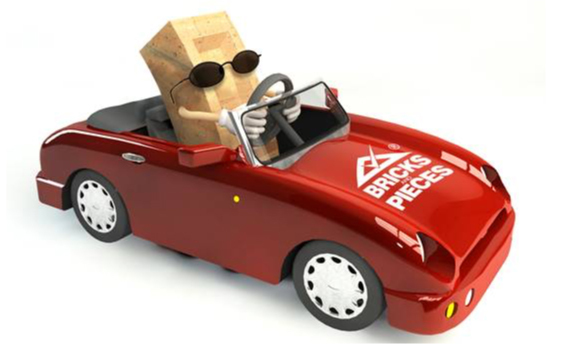 We take you to the future so you can see exactly how your design will look once the builders have completed the works. You will even be able to see that new fitted kitchen design before you commission a builder. Our job is to give you the best experience we can at no additional costs. Think of it like buying a new car. If you were going to spend £1000’s on a new car, you would want to see it, feel it, test drive it and have all your questions answered before you make a purchase. We do the same, we let you test drive your design. The ultimate experience in an industry that up until now, had a reputation for not going that extra mile. The same attention to detail should be taken when improving your property where the sums to outlay are usually a lot more. Remember this is an additional design option that has been made available for you. Seeing is believing. For many design companies, their involvement ends with a set of 2D drawings. We appreciate you will be investing £1000s in your property. When you sign off your interior designs, we then get to work on with the formal requirements of preparing your planning and building regulation drawings. Only now that you are 100% happy and settled on your perfect design, do we get on with the formal requirements of preparing your planning and building regulation drawings, for submission. Planning Permission in usually takes 6 – 8 weeks from start to finish and is required for larger projects. Smaller projects such as single storey rear extensions can be built under Permitted Development meaning planning permission is not required. If your design does fall under Permitted Development we strongly recommend you apply for a “Certificate of Lawfulness”. This is a legal document your solicitor will ask for when you come to sell your property in the future. Your building regulations can be passed and approved by the local authority building control department or by an “Approved Inspector” both do the same job. Their role is to inspect the build at relevant stages of the project; foundations, damp proof course, pre-plaster etc. The local authority Building Inspector or an “Approved Inspector” issues the Final Completion Certificate on completion of the works. This is acknowledged that the works have been inspected and built to current building regulation standards. 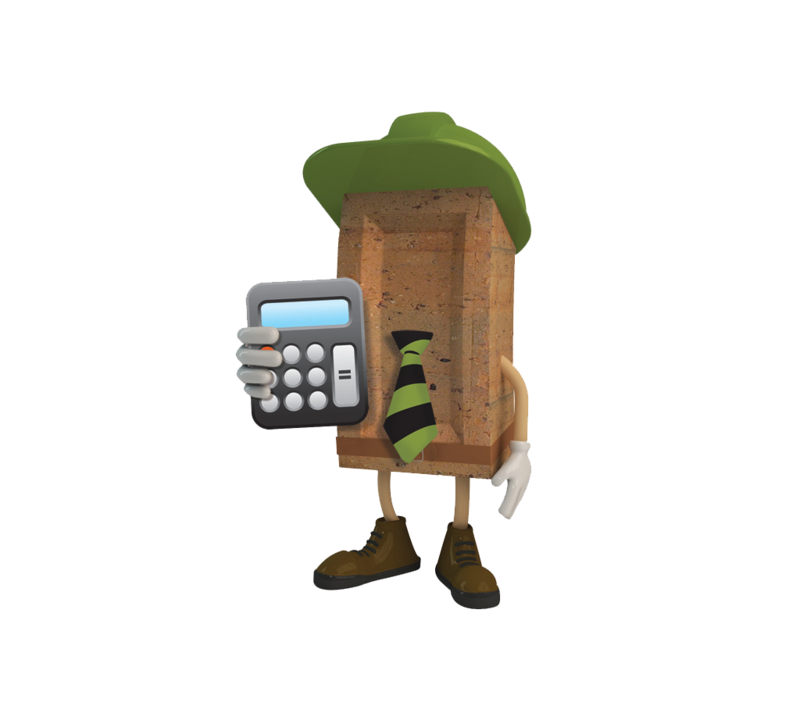 We are happy to advise you of the local authorities’ fees when applying for building regulation approval and get a comparison quote off an Approved Inspector so you can compare and decide who you would like to act on your behalf. Building Regulation approval of your plans is generally a quicker process. 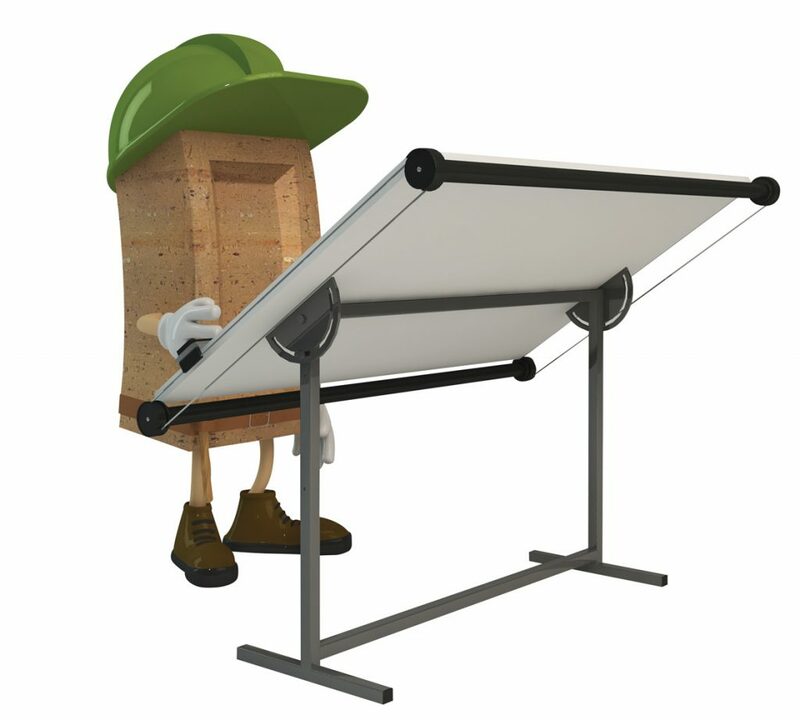 The Local Authority usually takes 5 – 6 weeks to approve building regulation drawings. 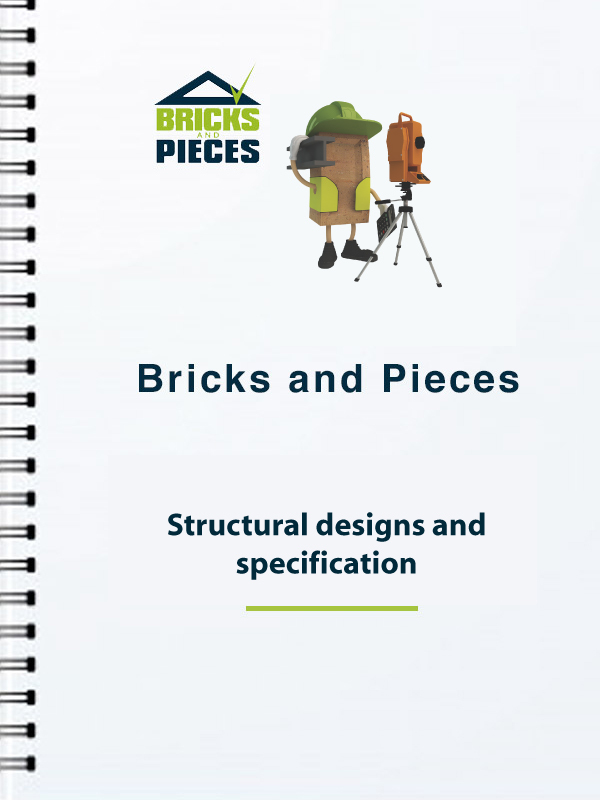 Most designs will require structural alterations to your existing property creating the requirement for a Structural Engineers Report, as part of your Build Regulation approval process. We have a panel of Structural Engineers that can provide competitive quotations and complete the task, in the shortest time possible.